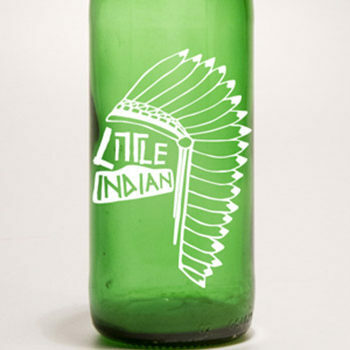 Designed by: Pemberton and Whitefoord LLP, UK. 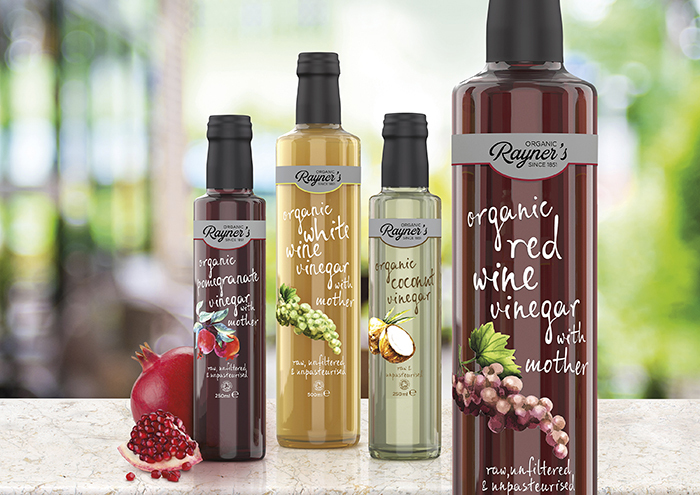 Pemberton & Whitefoord were recently tasked by Healthy Food Brands to design a range of Rayner’s vinegars. 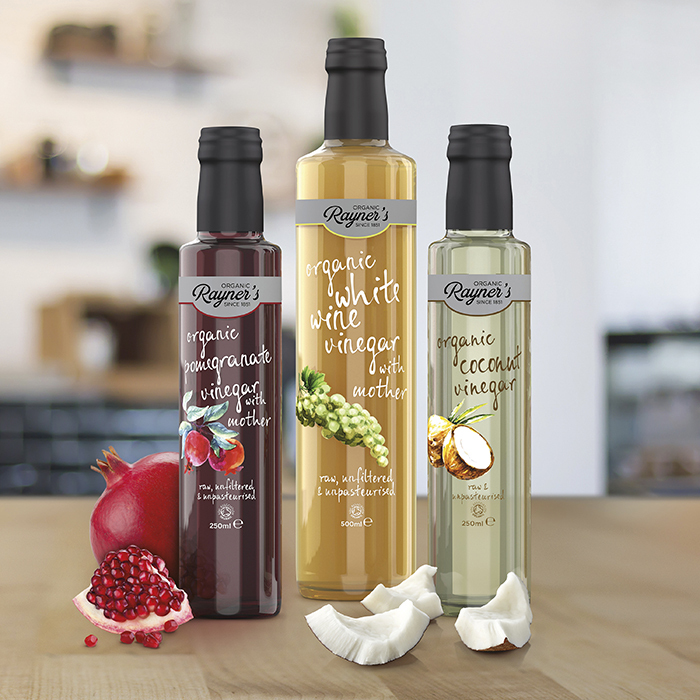 The collection, set to launch next month, features the brand’s first raw, unfiltered and unpasteurised vinegars. 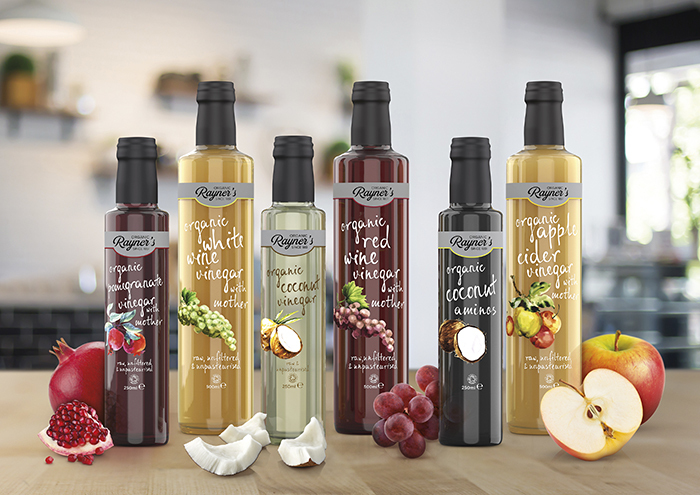 The six-strong, Soil Association-certified range includes Organic Coconut Vinegar and Organic Pomegranate Vinegar with Mother. The Organic Coconut Aminos, made from fermented coconut sap, is an interesting soy-sauce alternative. 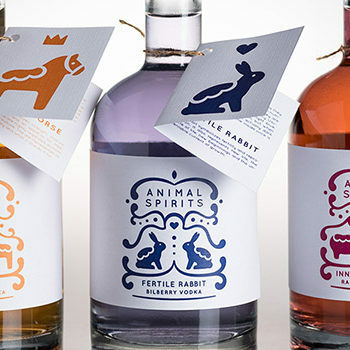 The sophisticated bottles selected by P&W feature watercolour illustrations of the vinegar variants alongside elegant handcrafted script typography. The agency also refined the Rayner’s logo, giving it a contemporary evolution. 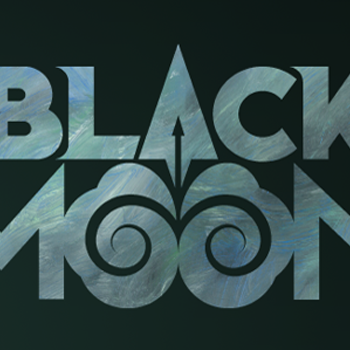 Carlo Buckley, Business Opportunities Manager for Healthy Food Brands commented: “The P&W team were fantastic to work with and really delivered on the brief. 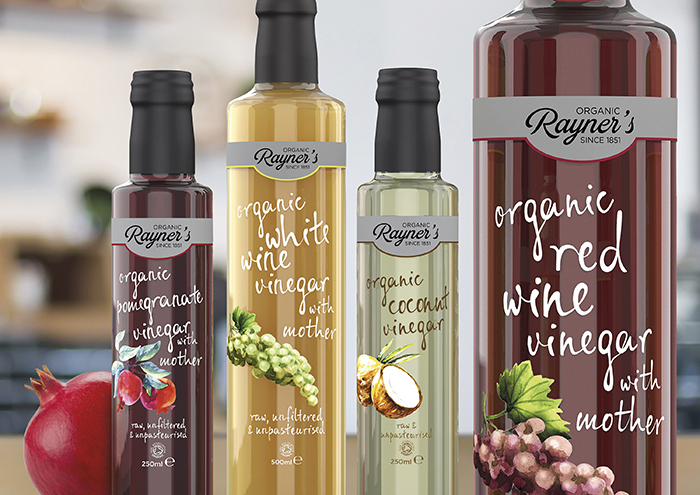 We are extremely delighted with the result of the Rayner’s brand and packaging re-fresh, which retains its 166 year heritage whilst also bringing it up to the expectations of today’s retailers and consumers. 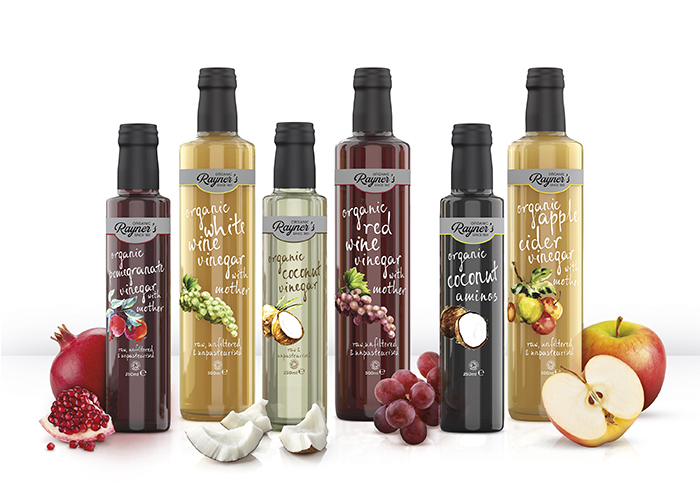 We are excited to launch our new range of five organic, raw and unfiltered vinegars and coconut amino in the new eye catching packaging.” Cliff Moss, the company’s Managing Director added: “We have worked with P&W over many years and continue to find them innovative and in tune with the constantly changing market conditions and branding developments”. 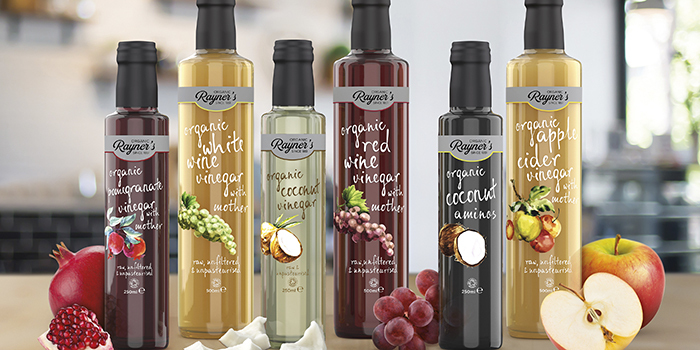 P&W Partner, Adrian Whitefoord, remarked: “P&W were tasked to design a range of organic Rayner’s products to appeal to “health-conscious consumers”, a growing demographic. As of 2017, the organic market is worth over £2bn with 39% of UK shoppers now buying organic food on a weekly basis. These products deliver exciting flavour sensations for gourmet cooks, dedicated foodies and everyday shoppers willing to explore their culinary boundaries”.